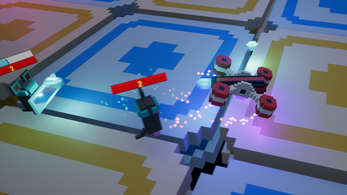 It's a twinstick arena shooter where mice and pigs are trying to destroy your spaceship, because they're evil and stuff. Some enemies might even reflect the bullets you shoot at them back at you. Then run the MirrorGameJam.exe file.